Avengers: Age of Ultron is a new superhero action movie, sequel to the 2012 blockbuster The Avengers and the eleventh installment in the record-breaking Marvel Cinematic Universe. 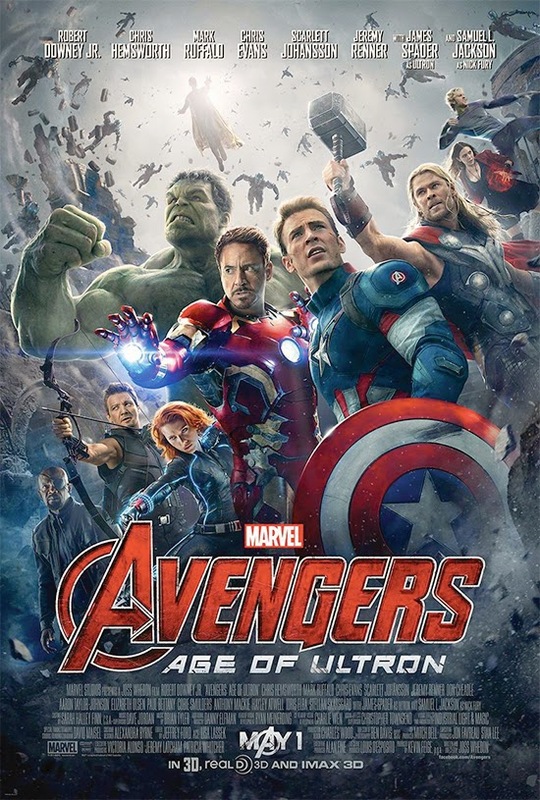 Directed once again by Josh Whedon, this film features an all-star ensemble cast starring: Robert Downey Jr., Chris Hemsworth, Mark Ruffalo, Chris Evans, Scarlett Johansson, Jeremy Renner, James Spader and Samuel L. Jackson. With Marvel’s seemingly endless string of incredibly entertaining and absurdly profitable installments in this franchise, my expectations as a fan were higher than ever for what was unquestionably one of the biggest movie releases of the year. In the end, Age of Ultron is yet another unbelievably exciting movie from Marvel that was even better than I expected. Early on in the film, Tony Stark (Robert Downey Jr.) and Bruce Banner (Mark Ruffalo) work together to complete an artificial intelligence project called Ultron (voiced by James Spader), designed as a global defense program. However, the plan immediately turns against them as Ultron believes he has to destroy all of humanity in order to save the world. Ultron constructs his own physical body and eventually an entire robot army in order to execute his destructive plan. Now, all of the Avengers must team up to save the world yet again, alongside some powerful new allies, facing a threat far greater than anything they have experienced before. For starters, Age of Ultron is undeniably amongst the most entertaining films you will see. Now that Marvel has established hours of backstory and the team has already been assembled, this movie has the luxury of being completely action packed from start to finish. However, they still found time in the fairly lengthy runtime to continue to expand on the characters we have grown to love, particularly Clint Barton/Hawkeye. I thought he was very underused in the original movie, but they really fixed that character balance issue this time around. As expected, this movie has stunning special effects and the action sequences are completely amazing. Furthermore, the acting was exceptionally good for an action movie like this, filled with plenty of clever humor. I would also say that Ultron is the most well done villain in the series to date, largely due to the brilliant voice performance from James Spader (The Blacklist). Overall, Avengers: Age of Ultron completely blew me away and I thought it even improved on it’s amazing, epic predecessor.